This past week the Florida Independent, the Ocala Banner, Capitol Soup and the St. Petersburg Times (among others) reported on two new state legislative bills that would wipe out local urban fertilizer pollution prevention across the state. This would not be good for Ag or Wastewater professionals. If residential Florida is allowed to shirk its responsibility for nutrient pollution then the entire burden will fall on our farmers and our utilities. Agriculture and wastewater industries should raise their voices against preemption just as cities, counties, stormwater professionals and water quality advocates do when this type of legislation is proposed. The proposed legislation is just the most recent part of a story that actually began in 2005 when it became obvious that too many Florida water bodies had reached the tipping points for nitrogen and phosphorous pollution; that year all over the state natural populations of harmful and nuisance algae became overfed to the point of population explosion. High Speed Rail Station in the Green Swamp?!? 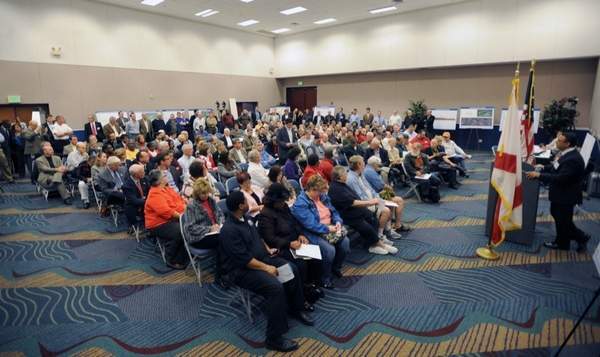 Central Florida will soon be the site of the Western Hemisphere’s 1st high speed rail, or HSR. Sierra Club supports HSR, as offsetting road construction and reductions per trip in CO2 emissions alone would be reason enough. HSR promises to boost the regional economy, increasing property values, expanding labor markets, and making possible more face-to-face business interactions so critical to today’s knowledge economy. All this while cleaning our air and reducing the dependence on foreign oil that keeps Florida vulnerable to the chant of drill, baby, drill. At the west end of the Polk Parkway at Clark Road. At the edge of the Green Swamp, on the east end of the Polk Parkway, in an area now planned as the site of a new University of South Florida Polytechnic campus. Or in between @ Kathleen Road. You can’t make this stuff up. 80’s pop artists Debbie Gibson and Tiffany will shine a spotlight on the Everglades this Saturday in the SyFy Channel original movie, “Mega Python vs. Gatoroid.” Debbie plays an animal activist who liberates pet shop pythons into the Everglades where they grow to alarming sizes. Tiffany plays a park ranger worried about the ecological damage they will cause who injects gators with large amounts of steroids. 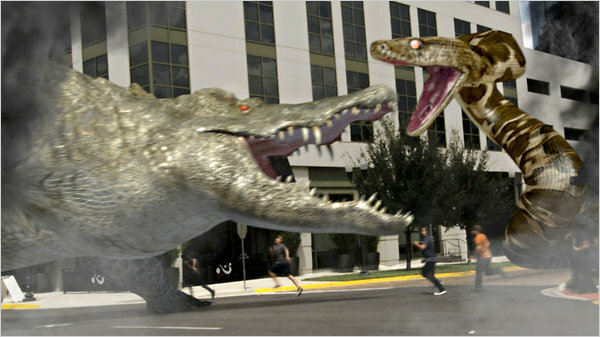 The reptiles battle it out and chaos ensues. The sad thing is this story is ripped from the headlines. Pythons HAVE invaded the Everglades. They HAVE grown to enormous sizes. 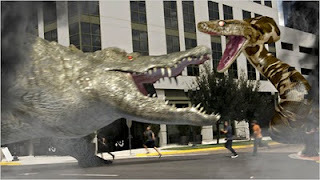 And Gators DO battle with them. About the only unbelievable thing about this movie is that the people who brought us “I think we’re alone now,” and “Shake your love,” are now its leading actresses. Since the year 2000, more than 1,500 pythons have been removed in and around Everglades National Park. Estimates for the total population in the Everglades have ranged from a couple thousand to 150,000. The invasive pythons eat raccoons, rabbits, bobcats, house wrens, limpkins and white ibises. They also are considered a threat to protected species like the American alligator and Key Largo wood rat. Last month, I urged Sierra Club members throughout Florida to ditch the car and take some form of public transit during the holidays. I suggested that folks make it an event; meet with friends and take the bus to their favorite shopping mall for lunch and holiday buying. I would like to share my recent experience with the Lee Transit bus system here in Fort Myers, Florida. On December 28, 2010, fellow Sierra Club volunteer, BJ Gerald and I met at the Rosa Parks Transportation Center in downtown Ft. Myers and rode the bus to the Edison Mall. Florida Green Transportation Coordinator, Marti Daltry, asked Sierra Club members to ditch the car and ride public transit over the holidays. My husband and I decided to take the challenge and here is my commentary on the Jacksonville Trolley this past December. My husband and I rode the Jacksonville Riverside Trolley downtown over the Christmas season. Looking at the photo, I realize it must have been the one warm day north Floridians enjoyed at that time. The ride into town was fun as was the four block walk to our favorite lunch place, a little French cafe, across from our public library. Two more Florida panthers were found dead yesterday in southwest Florida, making 5 so far this January, according to reports from the Florida Fish and Wildlife Conservation Commission. One was killed in an auto collision and the other by another panther. It is time for the U.S. Fish and Wildlife Service to declare an emergency. It has the power to designate critical habitat protection for the Florida panther under the Endangered Species Act, but it has refused to do so. Let's hope these latest deaths will serve as a wake up call and prompt immediate action. "The new year continues to be deadly for endangered Florida panthers as two more were found dead today, bringing the total for January to five. "An 8-month-old uncollared male panther was found dead on the westbound lanes of I-75 (Alligator Alley) near mile marker 98 in Collier County, according to the Florida Fish and Wildlife Conservation Commission. "The second carcass was found in a Hendry County orange grove north of Sears Road. The 10- to 11-month old collared male was killed by intraspecific aggression." Washington, D.C. – Today, the Department of the Interior announced the creation of two new offices - the Bureau of Safety and Environmental Enforcement (BSEE) and the Offshore Energy Safety Advisory Committee - that will oversee offshore oil and gas development and environmental safety. This restructuring of the Minerals Management Service follows the Commission on the BP Deepwater Horizon Oil Spill and Offshore Drilling’s report on the BP disaster in the Gulf calling for widespread reform of the offshore drilling industry, including better safety regulations and more stringent enforcement by federal agencies. "The Deepwater Horizon tragedy showed just how flawed and broken our current regulatory system really is. The creation of specific safety and environmental oversight offices is a much-needed move to ensure that our workers, our oceans and our coastlines are protected from the interests of corporate polluters. Sadly, industry-wide disregard for the health and safety of its workers persists. We are encouraged, however, to see that the Department of Interior is already putting the Oil Spill Commission’s recommendations into action. A move away from the Minerals Management Service’s traditional role as an agency whose narrow responsibilities included collecting funds and issuing permits is proof that the Bureau of Ocean Energy Management, Regulation and Enforcement (BOEMRE) is taking significant steps to prioritize safety over corporate special interests. We look forward to working with the forthcoming chief environmental officer and taking part in an ongoing conversation about the safety of American workers and the protection of the environment. We also call on Congress to address the funding needs of these new offices to ensure that these necessary safety and oversight efforts become an implemented reality. If we hope to learn the lessons of the BP oil disaster and prevent this tragedy from happening again, we will need to fully fund oversight and enforcement. But the only real way to ensure we don't see another drilling disaster is to start reducing our dependence on oil now. We already have efficiency technology and clean energy solutions that will help move our nation beyond oil and make offshore drilling unnecessary." Congress must act NOW to restore the Gulf and protect our coasts. It's clear that Big Oil continues to put our shores at risk. Tell Congress to implement the Commission's recommendations to support restoration of the Gulf and protect all U.S. coasts from future disasters. The one year anniversary of the BP oil disaster is approaching in April, and Congress still has not taken to action to protect Gulf Coast communities and restore the region. The Oil Spill Commission report supports our work by recommending many priority elements advocated by the Sierra Club and regional community groups. We've known what's needed for nine months; now is the time to act. Tell Congress to restore the Gulf Coast and protect the nation's shores from future oil drilling disasters. The report outlines three critical steps we must take now in response to the BP oil disaster: the creation of a Gulf of Mexico Regional Citizen's Advisory Council to give Gulf Coast residents a voice in recovery efforts, directing eighty percent of Clean Water Act fines from the BP oil disaster to the Gulf Coast for restoration, and increasing protections and oil industry accountability to prevent future tragedies. Congressional action to protect our coasts is long overdue -- send a message to Congress today. 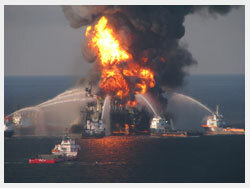 "Oil rig blowout stemmed from systemic management problems, oil spill commission says," David Hammer, NOLA.com: January 05, 2011. TALLAHASSEE, FL – January 10, 2010 – The public transportation community is gathering in Ft. Lauderdale on Wednesday to help launch IM4Transit.org, a campaign of the Florida Public Transportation Association (FPTA) to build a community of at least 100,000 pro-transit Floridians. The kickoff luncheon features a panel discussion by all four South Florida transit CEO’s plus remarks from transit experts from Los Angeles to Washington DC. WTSinternational.org is hosting the luncheon where FPTA is providing the programming. Over the past several days, the Sarasota Herald Tribune and the Lakeland Ledger have reported on the controversy surrounding a University of Florida - Institute of Food and Agricultural Sciences (UF-IFAS) publication that has been used by the fertilizer industry to argue against strong fertilizer pollution controls. The Sierra Club has challenged the verity of that publication since it was published in 2009; the recent press coverage - Controversial Study says fertilizer bans are not helpful and LYONS: Is secret fertilizer report 'tobacco science'? - focuses on Sarasota County's campaign to uncover the truth. All across Florida, water bodies are so chock full of nitrogen and phosphorous that resultant harmful and nuisance algae blooms jeopardize public health and our ability to swim, fish and boat in lakes, springs, rivers and at our famous beaches. Because our tourist economy depends on clean water, Florida communities need a low-cost way to combat the problem. 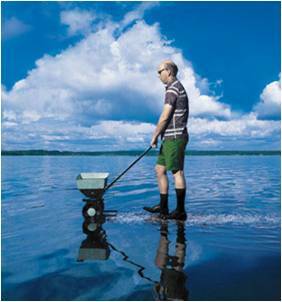 It is far more cost-effective to prevent nutrient pollution than it is to utilize hundreds of thousands or millions of tax dollars in restoration efforts for impaired waters – the cost of removing nitrogen from water resources runs from $40,000-$200,000 per ton. For this reason, communities along the southwest gulf coast so devastated by the Red Tide blooms of 2005 were the first in the state to adopt strong urban nitrogen and phosphorous fertilizer management ordinances. Those gulf coast ordinances were based on recommendations found in the Florida Yards & Neighborhoods Handbooks. Florida Yards and Neighborhoods (FYN) Handbooks have been published since 1994 by UF-IFAS and FDEP; these handbooks are guides to Florida-friendly landscaping. • Don’t fertilize before a heavy rain. • Apply an iron source instead of a nitrogen fertilizer during the summer. These FYN recommendations are promoted by UF-IFAS County Extension Agents, Water Management Districts, stormwater professionals, the state’s National Estuary Programs and FDEP. The summer rainy season fertilizer application bans found in so many local urban fertilizer ordinances are purely a codification of those two FYN recommendations. And yet, UF-IFAS, the very same institute that publishes and promotes those two FYN standards, has instead sided with the fertilizer industry and argued in favor of nitrogen application during the rainy summer months. When in 2009, at the request of the fertilizer industry, UF-IFAS published the aforementioned paper titled Unintended Consequences Associated with Certain Urban Fertilizer Ordinances, it became the bible that UF-IFAS and the fertilizer industry thumped to convince local governments to disregard the 16 years of UF-IFAS’ own good water quality protection advice in the FYN Handbooks. Although referred to recently in the press as “a study” and “research” this publication is not a scientific research paper; it does not include original scientific data and the assumptions and conclusions, completely unsupported by survey or science, are pure conjecture. Despite this fact, the publication has become the industry’s “scientific proof” against summer rainy season application bans. Since June 2009, the Sierra Club and local governments have appealed to UF-IFAS administrators and even to the University President for an explanation of the dissonance between the FYN recommendations and the Unintended Consequences publication, but our appeals have been ignored. UF-IFAS administrators have continued to transmit Unintended Consequences to county and municipal governments as the “official” position held by UF-IFAS on urban fertilizer management despite the direct conflict between the FYN recommendations (and multiple other UF-IFAS and FDEP publications) and the Unintended Consequences paper. Even worse, these same administrators have used this non-research-based paper to support attempts by the fertilizer industry to thwart strong urban fertilizer regulation at the state level and to get rid of the existing local ordinances. In 2009 and 2010, the Scotts Miracle-Gro Company, the Florida Fertilizer and Agrichemical Association, and the Florida Nursery Growers and Landscape Association, with help from UF-IFAS, lobbied hard for legislation to deny county and municipal authorities local control of fertilizer management. The good news is that water quality advocates, the FL Association of Counties, the FL League of Cities and the Florida Stormwater Association defeated their attempts. However, without continued pressure from the public demanding the vetting of Unintended Consequences and the reasons for UF-IFAS’ conflicting messages, Florida communities will remain at risk for preemption legislation in 2011 and only the most expensive methods to reduce nutrient pollution. The press release below provides additional details. Punta Gorda, FL –Over the past four years, members of the Babcock Ranch Steering Committee have worked together to develop strategies for connecting wildlife corridors and conservation planning. This broad-based group presents today its consensus recommendations to guide future conservation planning with the goal of creating a system of connected wildlife corridors to protect and enhance Southwest Florida’s environmental and wildlife assets. Babcock Ranch developer Kitson & Partners, together with the Sierra Club, established the Steering Committee in 2006 to study ecological connections between the Babcock Ranch Preserve and surrounding lands, analyze future growth patterns, and develop strategies to protect critical wildlife corridors. The diverse group of environmental advocates, community planners, economic development leaders, government agencies and wildlife conservation experts made a commitment to discuss difficult policy issues in a productive and respectful manner and search for common ground. Many of the state’s leading environmental organizations have been engaged in planning for Babcock Ranch from the very beginning. The Steering Committee expanded the collaboration and provided a forum for civil discussion about conservation and land use planning. The Babcock Ranch Steering Committee began meeting in January of 2007. A regional connectivity study, funded by Kitson & Partners as part of an agreement with the Sierra Club, provided sound scientific data that served as a foundation for extensive discussion and debate. A wildlife connectivity study conducted by Dr. Thomas Hoctor of the University of Florida and Dr. Reed Noss of the University of Central Florida identified the best potential ecological connections between the Babcock Ranch Preserve and other regional conservation areas so that biodiversity and functional ecosystem processes can be maintained and enhanced. “We found that options for maintaining connectivity for three focal species –Florida panther, Florida black bear, and Sherman’s fox squirrel – between Babcock Ranch and other existing and potential conservation areas within the regional landscape are still relatively abundant and intact,” concluded professors Hoctor and Noss. The group concluded that the Babcock Ranch Community sets a positive precedent and demonstrates the potential for a continuing link between conservation and responsible development. While the final report marks completion of the assignment – the dialogue will continue. The consensus opinion of this unlikely coalition is that by continuing to work together, they can be part of a proactive regional strategy to move conservation and land use policy forward. Many members of the steering committee will continue their involvement with a pilot project of the Florida Fish & Wildlife Conservation Commission’s Cooperative Conservation Blueprint, to take place during the remainder of 2011.